When it comes to trading stocks, there are a couple important steps that you’ll need to take. The first step that you’ll need to take is opening up a brokerage account. You can do this with a local financial professional, or you can do so via an online discount brokerage. You’ll most likely save money by choosing the latter option. When doing so, you’ll probably have to provide personal information that proves your eligibility for an account. The next thing you’ll have to do is fund your account. This means cutting a check made payable to your brokerage or setting up an electronic funds transfer(ETF) from your bank account to the brokerage. Once you’ve taken these two steps, you’re basically ready to start trading. After getting your account funded, you’ll then look up the stock ticker that you’re ready to buy. You can only buy as many shares as your account funds will permit unless you sign up for a margin account, which involves taking out a loan. You’ll input the number of shares you want and then click the buy button. Stocks can also be sold just as easily. 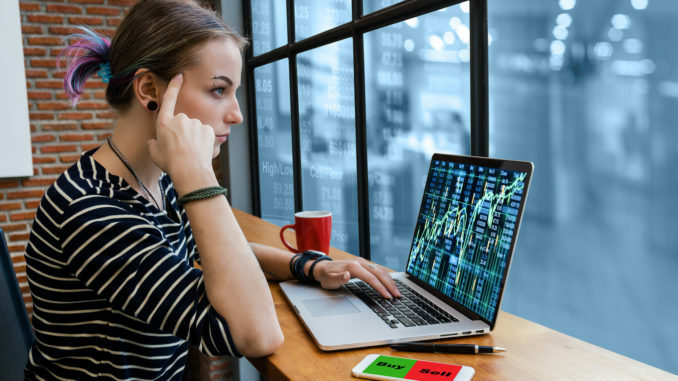 Once you become an investor with some experience, you might start looking into options trading to increase your income, as well.